Not only is the new NSA Spy Center (Data center is what they call it) having troubles with electricity and some “meltdowns” as the Wall Street Journal reported, they also seem to be having some water issues. If you want a clue as to whether there are problems at the Utah Data Center, talk to the man selling the massive spy building its water. When operational, the Utah Data Center is expected to consume 1.7 million gallons a day in order to cool the people and technology inside. But so far, says Bluffdale City Manager Mark Reid, water consumption has been wildly inconsistent. They’ve gone from no usage to over their amounts that they planned to use,” Reid said on Tuesday. 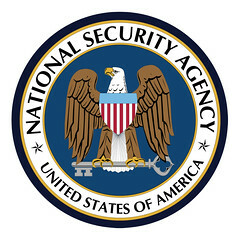 Read more via Achilles Heel: NSA Water Use Hints at Large Problems in Utah | Nullify NSA!Nullify NSA!.